KABUL: The Taliban are preparing to send a delegation for further talks with U.S. officials about ending the conflict in Afghanistan, two officials involved with the process said on Tuesday, adding that the meeting could address a possible prisoner swap. The two officials, who spoke on condition of anonymity, said Taliban leaders were meeting to discuss the makeup of the three- or four-person delegation and the subjects to be discussed. They said the Taliban would like to discuss an exchange of prisoners and could hold another meeting soon if the United States showed seriousness in talks by releasing prisoners. “This meeting will determine the future talks and we would see if the U.S. is serious and sincere in negotiation,” one of the officials involved said. If confirmed, the meeting would follow an earlier round of talks in Doha in July, where Taliban officials met Alice Wells, Principal Deputy Assistant Secretary for South and Central Asia at the U.S. State Department. The Taliban delegation at the planned upcoming meeting would be led by the head of the group’s Qatar-based political office, Sher Mohammad Abbas Stanakzai, the officials said. However they said the high command was planning to replace Stanakzai, who has been serving as interim head, with a new permanent head of the Qatar office. “You may know Sher Mohammad Abbas Stanakzai was deputed in the Qatar office on acting charge basis. The top leadership is now planning to appoint someone else in his place,” one said. Hopes that peace talks to end the 17-year conflict in Afghanistan have stuttered in recent months, following the failure to agree a repeat of the unprecedented Eid ceasefire in June which saw unarmed Taliban fighters mingling with security forces in Kabul and other cities. Over the past year, the United States has stepped up air strikes against the Taliban and boosted training for Afghan forces. However U.S. officials say the goal is to reach a negotiated, Afghan-led settlement to end the war. 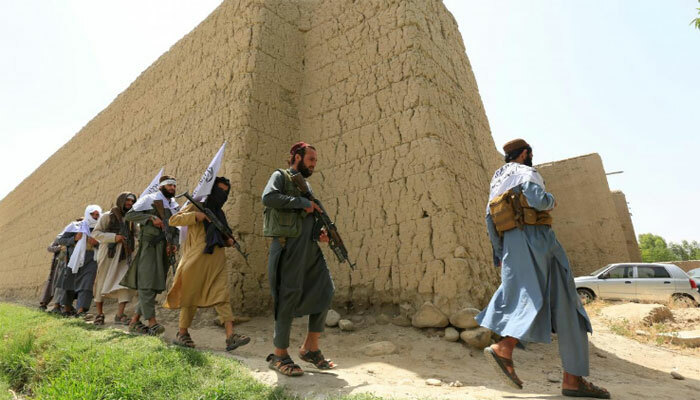 On the Taliban side, the assault on the strategic city of Ghazni last month that killed hundreds of soldiers, police and civilians underlined the insurgents’ determination to increase pressure on the Western-backed government in Kabul. The Taliban, seeking to reimpose strict law after their 2001 ouster at the hands of U.S.-led troops, have maintained their refusal to negotiate directly with the internationally recognised Afghan government, which they consider an illegitimate regime put in place by foreign powers and say they will only talk to the United States. As the push for talks has picked up following the Eid ceasefire in June, the United States has agreed to participate directly and has appointed former U.S. ambassador to Kabul Zalmay Khalilzad as special envoy to reinforce the effort.